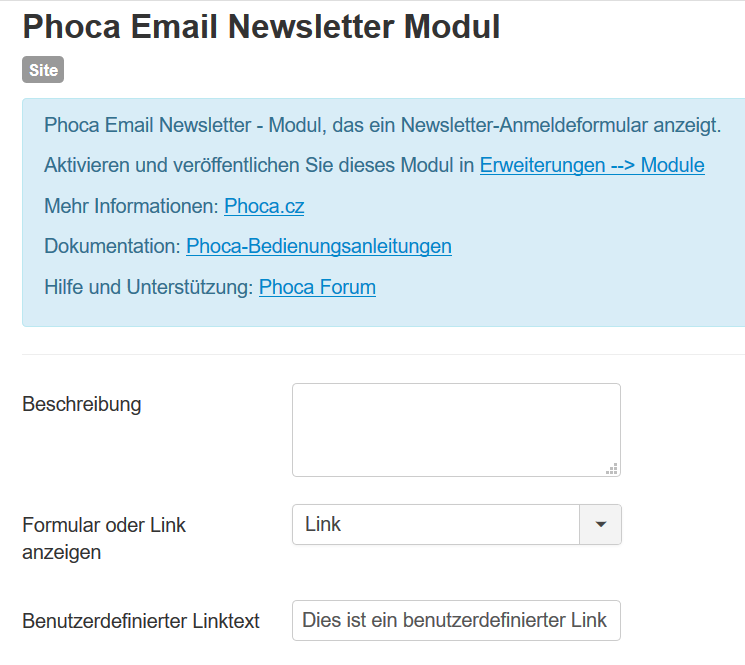 I'd like to configure a German custom Link Text in Phoca Email Newsletter Module. But this text is not displayed on the site. Also the label and the help text of this field in the backend is in English. The other fields are in German. I downloaded the newest version of Phoca Email Component and Phoca Email Newsletter Module. I am using a costumized Phoca Gweld Template. What can I do? Thank you for a hint. 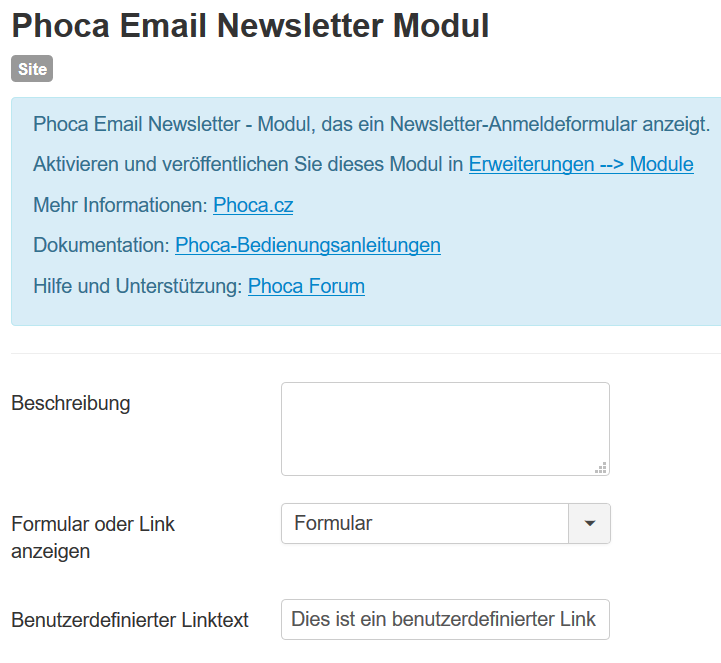 where did you download the german language pack for Phoca Email Newsletter Module? I tried a new install of mod_phoca_emailnewsletter and I installed your German languagepack. Now I get the backend translated fully into German, that's now okay. But I don't get the button "Subscribe" in the newsletter module in German language. What can there be wrong? it's this string (Be aware it's a string of the Component): COM_PHOCAEMAIL_NEWSLETTER_SUBSCRIBE="Abonnieren"
So if the button is still english, install the current german language pack for the component and the standard language of the frontend (Site) must be set to german. everything okay after downloading the corrent German language pack de-DE.com_phocaemail-j25-j3.zip.